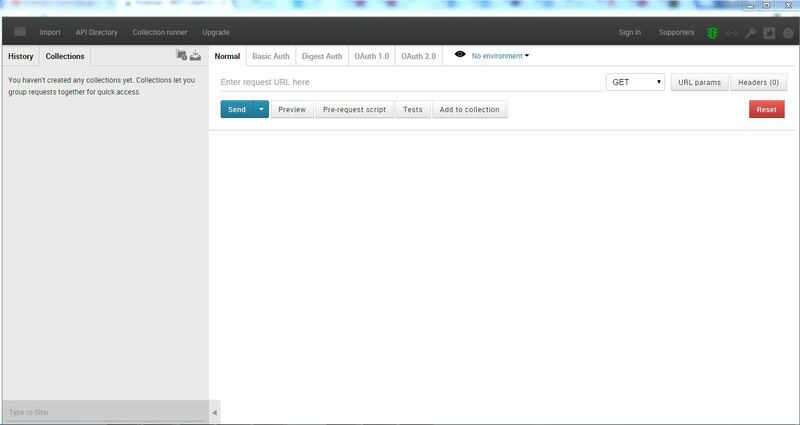 In this post we will explore three UI tools you can use for API testing: Postman, SoapUI and Runscope. We do a deep dive into using Postman for API testing because we love using Postman. This post is the second in a series of blog posts on API testing. You can find the first part here. Postman is an extremely efficient tool to work with APIs. You can construct simple as well as complex requests quickly. You can process different types of request like GET, PUT, POST, DELETE etc, pass different URL parameters along with the headers and cookies. All the transactions processed will be saved in History section and can be accessed for later use. 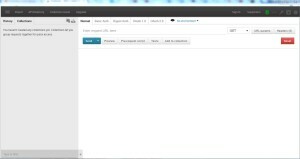 You can also create your own collection which lets you group individual requests together. 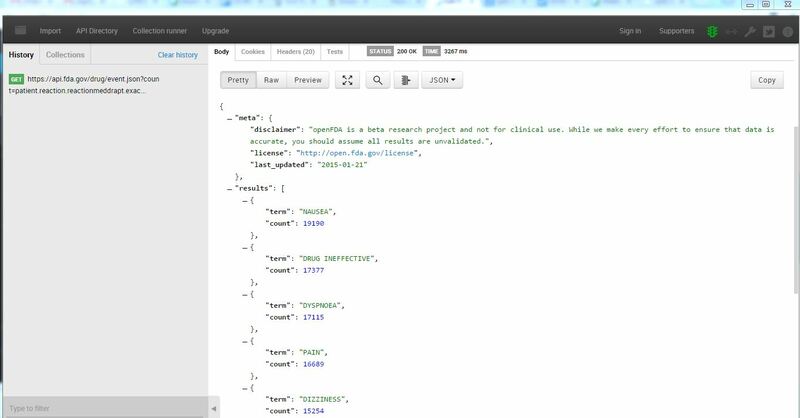 You can also view the response in different formats like JSON, XML, HTML and Text. Postman can dramatically cut down the time required to test and develop APIs. 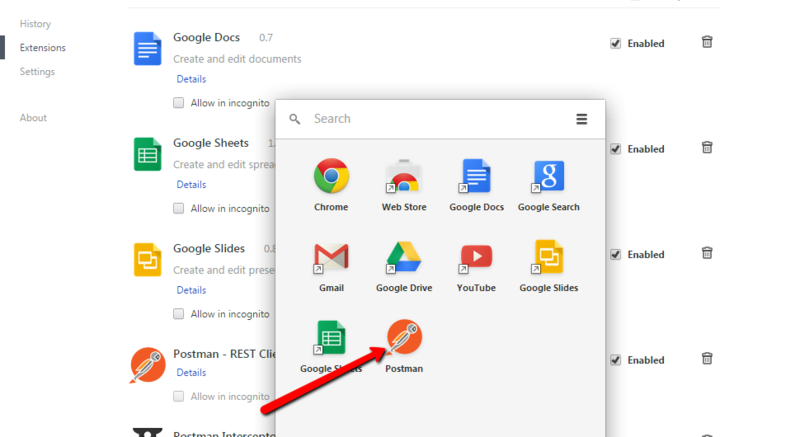 You can install the Postman – REST Client in your google chrome browser by clicking on this link. 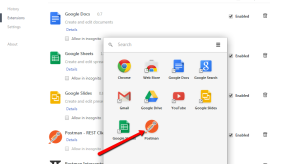 Once you install you can use the chrome app launcher to open the postman client as shown below. As an example we will test the public api at OpenFDA. OpenFDA is an Elasticsearch-based API that serves publicly accessible data about drugs, devices and food. We will add a test to search for records listing a specific drug with count of the ten most frequently reported patient reactions. You can view the response as shown below. The response returned is in JSON format. You can also view the response in different format like HTML, Text etc. You can also view the Status which in this case is 200. 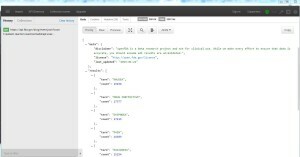 SoapUI supports extensive testing of REST services and their resources, representations, etc. SoapUI is among the oldest UI tools for API testing. There are plenty of excellent tutorials already available. So we’d rather not write about it. 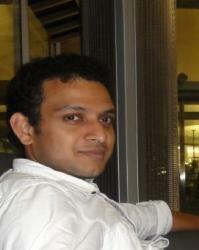 You can refer to this link if you want to explore this API testing tool. We enjoyed using Runscope. Runscope has a polished web interface and provides some scripting capabilities too. Please refer to our earlier blog API Testing using Runscope for more details. And so we end the second stage of our three part journey in learning about API testing. In our final post, we will show you how to write API tests using Python. Stay tuned! You cant test this URL for a post request. POST request method requests that a web server accepts and stores the data. It is often used when uploading a file or submitting a completed web form.